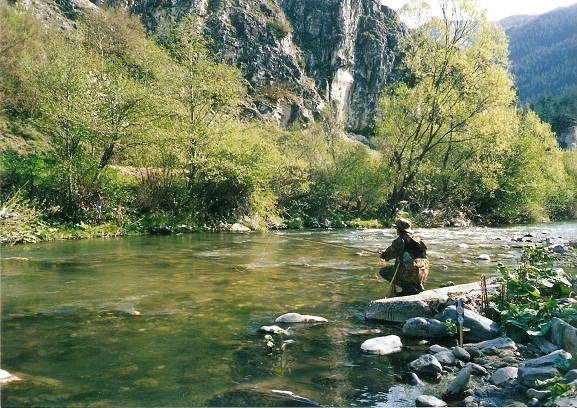 There is no fly fishing without fish and the fish needs water to live and survive. Fly fishing local trout rivers in the last 15 years gave me a base to compare the current state of my home waters to the seasons in the past. The comparison is not much in favor of the situation today, despite the introduction of 100% catch and release regulations for the brown trout on 23 freestone rivers for two years now, plus a couple of chalkstreams that are in their third season of c & r. No kill is a step in the right direction and I have no doubt about that. The local trout rivers never been on a c& r basis before that period. The fines are steep and many fishermen who fished to kill are not attending the No kill rivers anymore. 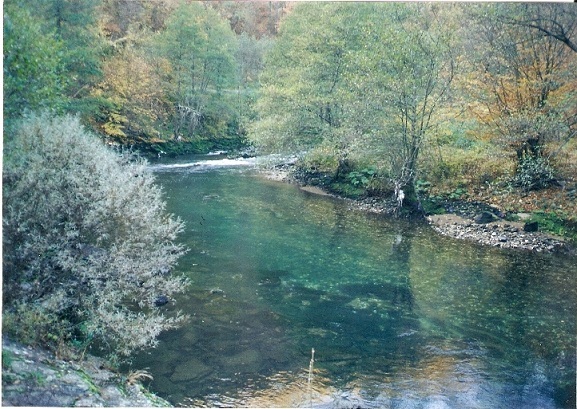 So far so good, but the current policy backed from the EU since the last 7-8 years for building small hydro power plants on many dozens of local streams is taken its toll on local trout populations in a negative way and understandably is affecting the fishing in a worse possible way. No matter who says what, but fly fishing the affected rivers on a regular basis after the hydro plants being built is not the same as the years before that, both in regards of fish numbers and fish size. Nothing is affecting the fishing in so badly a manner as a hydro plant on the river - not the fishing pressure, not even a persistent poaching of the waters that we know of or other natural cause. From 2004 to 2008 I was fly fishing a 2km section of a local trout river on a regular basis spending about 30 or so days there every season. That was the most productive part of the river for brown trout, if not always in numbers , at least for chances for better 40+cm and even a few 50+cm fish. Then, after a small hydro power plant was built, all of a sudden everything changed! No more stable water flow, but a low water conditions for the most part of the day instead and the fish almost disappeared from that part of the river! What a difference with the seasons in the past when I didnt bother to fish other sections too often, because I had the best fishing on this section! Now after the hydro plant destroyed the water, sometimes it's a challenge to hook any fish at all on this section! On a smaller freestone rivers with hydro plants the situation is even worse! The river bed after the power plants location is almost dry and devoid of fish. I don't believe that these plants are necessary as the output of energy is insignificant to the harm they do for the nature. Also on what appeared to be the biggest local trout river, 7 years ago was built a dam, thus destroying the best 20km of trout water. It was a very sad moment! 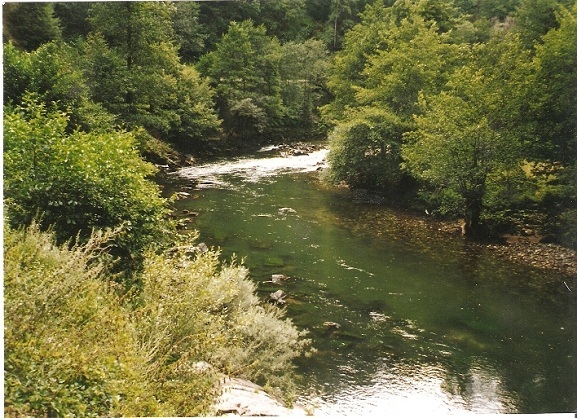 I have only a very few photos left from my fishing days on that river and also from other very good local waters that either no longer exist anymore, or are changed beyond recognition after some careless human intervention, resulting in very poor fishing conditons and even total lack of fish! I was too naive in the past days thinking that the fishing and the fish from this magical waters will last forever, so veryoften I even didn't bother to take pictures of these waters, the fish and fishing! Some years after the dam was built on the above mentioned river and all the damage was done, the local media reported that a former member of the parliament declared half a milion euros as his personal revenue as being a "consultant" for the dam project! The water is the precious resource where the fish live and with no good water there is no fish and fly fishing, so nowadays when I am out and fishing I often ask myself for how long this will last without being destroyed by the next greedy human intervention? Photos:Some pics from a disappeared trout river and a local brown trout photo.